A Writing Prompt with a Puzzle/Game Twist! I’m always on the hunt for different ways that puzzles have found their way into pop culture and society in general, and it never ceases to amaze me how ubiquitous puzzles can be. A long while back, the world came to an end, and with it your favourite newspaper. For years you’ve been filling the idle hours between scrounging and scavenging by solving crosswords puzzles. You’ve got 50 years worth of backlogs, but now you’ve completed every single one. Every single one except the most recent one. The final one, that is. The crossword puzzle that never got released because the world ended. So now you’re on a journey through the post-apocalyptic wasteland to find the last puzzle, and finally complete your collection. A dystopian tale with a puzzly hook? Sounds like a can’t-miss YA book to me! 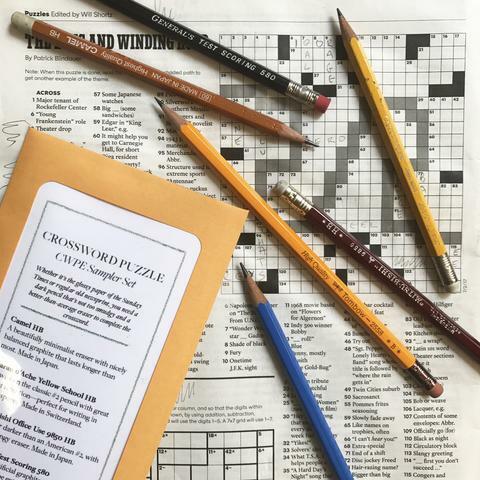 It’s an intriguing pitch — for a story or a roleplaying campaign — and one that reminds me of David Steinberg and the Pre-Shortzian Puzzle Project, as they’re still on the hunt for 142 missing New York Times crosswords that weren’t published in New York. 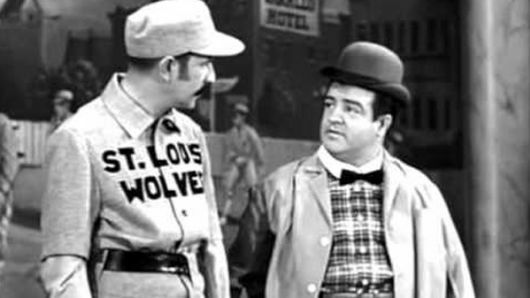 And, naturally, since my mind has wandered to puzzle-and-game-fueled scribblings, I simply must include this board game-inspired take on the classic Abbott and Costello routine “Who’s on First?” that a friend of mine penned. Enjoy! Customer: Excuse me, do you sell this particular board game whose name I’ve forgotten, it’s like Parcheesi, only smaller and has a Pop-O-Matic dice rolling bubble in the middle. Clerk: Are you looking for Trouble? Clerk: Ah, we do have that. But without the dice popper. Customer: No, it’s fine. I just want your opinion of the other game you have, if it’s no trouble. Clerk: Well, it kind of is. According to some people. Customer: You are fast becoming a source of aggravation. Clerk: Oh, we have that one, too! Customer: Argh! What. Game. Were you talking about before, and what’s your opinion? Clerk: Sorry, and it’s no Trouble, if you ask me. Clerk: So do you want that? Clerk: Or would you prefer Aggravation? Customer: I’d rather you gave me a clue! Clerk: Well that game’s nothing like Parcheesi. Customer: Then why bring it up? Clerk: I didn’t, you did! Clerk: We don’t have that, but what about Othello? As always, puzzles and games make everything better.